Since Reserve Bank of India (RBI) has made KYC-compliance mandatory for prepaid wallet customers, Paytm has seen a lot of drop in users. However, many of these users are simply waiting for an easier way to get the new KYC done. 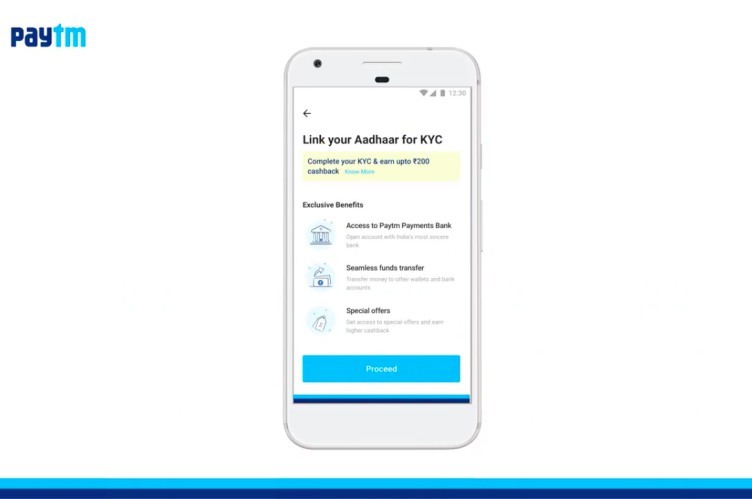 Paytm has now simplified this process by integrating a self KYC option right into its app. It tweeted early morning that an update, which brings this KYC verification feature, has been pushed to both its Android and iOS apps. While the default method is Aadhaar, you’re free to choose between a passport, driver’s license, Voter ID or NREGA Job Card. You only need to enter the necessary details and verify your identity to avail a ₹200 cashback on the completion of the process. Note: I tried this method on Paytm (version 6.63) on my Samsung Galaxy S8, running Android 8.0 Oreo and it worked perfectly fine. 1. 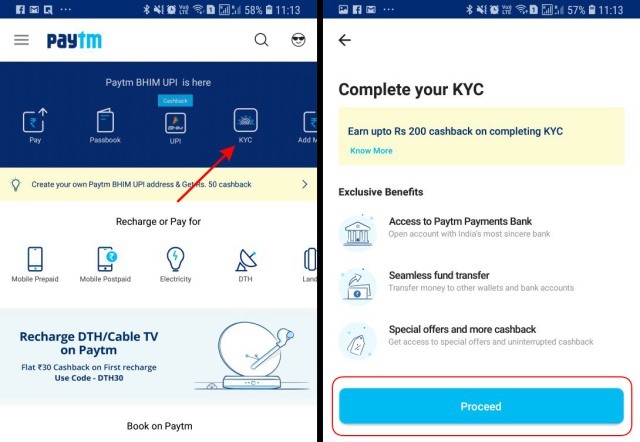 Open Paytm and tap on the KYC option in the top row itself and proceed to the next screen. 2. Now, you need to enter your 12-digit Aadhaar number and the name that appears on the same, before tapping on “Proceed” to move to the verification part. 3. 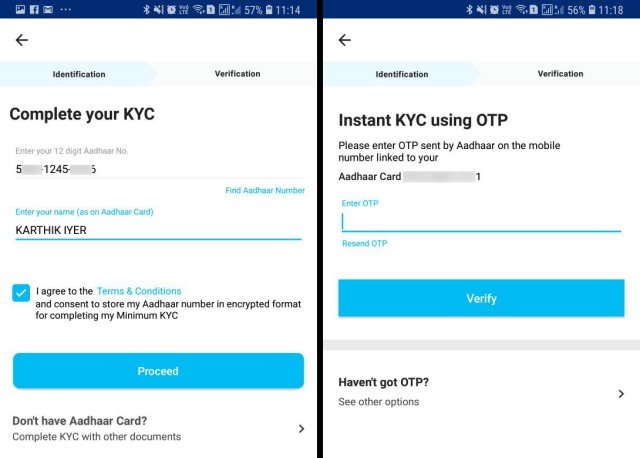 Once Paytm has identified the Aadhaar card, it’ll send out an OTP to your linked mobile number. You can then enter the OTP to complete the verification process. 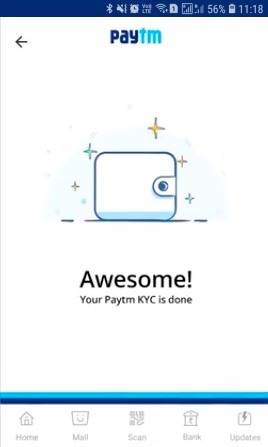 Once you’ve completed the KYC, you’ll regain access to all the features of the Paytm wallet and your spending limit won’t have any bounds. Your wallet limit, on the other hand, would also be bumped from the existing ₹10,000 to ₹1 lakh. The verification will bring back your money transfer abilities, while also opening a Payments Bank account for you. The self KYC process is super simple and fast, meaning you can get your account working again within a matter of minutes.